Often hidden from view, Infrastructure — electrical and electronic networks and public utilities: the very structures and systems that allow our complex society to function — must be built to the highest standards of dependability. Overholt brings to the construction of these critical components a level of expertise and experience that South Florida’s major utilities and local governments have come to respect and count on. Throughout the region, electrical substations stand as testimony to Overholt’s commitment and skill. Familiar with the forms and functions of these crucial structures, the company has self-performed construction of these facilities from site-planning through to the complex concrete and anchoring work for the ultimate installation of the equipment. In South Florida, where water is an asset and a challenge, major water and sewer utilities have turned to Overholt for the construction of important facilities. For Monroe County’s Florida Keys Electric Cooperative, it was a sprawling operations complex. For the Key Largo Wastewater Treatment District and the Village of Islamorada, it’s a series of sewer vacuum stations designed to address the state mandated waste issues standards. 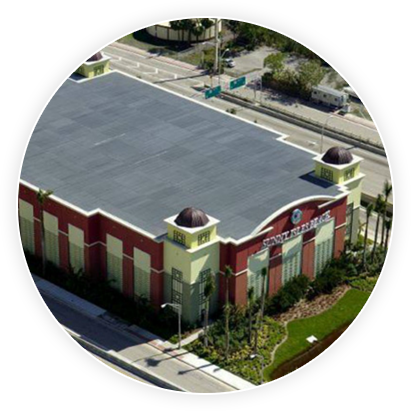 Overholt is the product of a family heritage that traces its roots back through more than six decades of South Florida construction history.